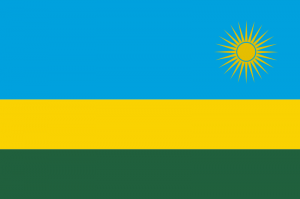 The Republic of Rwanda, known as the Land of a Thousand Hills, is a landlocked country located in the Great Lakes region of eastern-central Africa, bordered by Uganda, Burundi, the Democratic Republic of the Congo and Tanzania. Although close to the equator, the country has a cool temperate climate due to its high elevation. The terrain consists mostly of grassy uplands and gently rolling hills. Abundant wildlife, including rare mountain gorillas, have resulted in tourism becoming one of the biggest sectors of the country’s economy. Rwanda has received considerable international attention due to its 1994 genocide, in which an estimated 800,000 people were killed. Since then the country has made a recovery and is now considered as a model for developing countries. 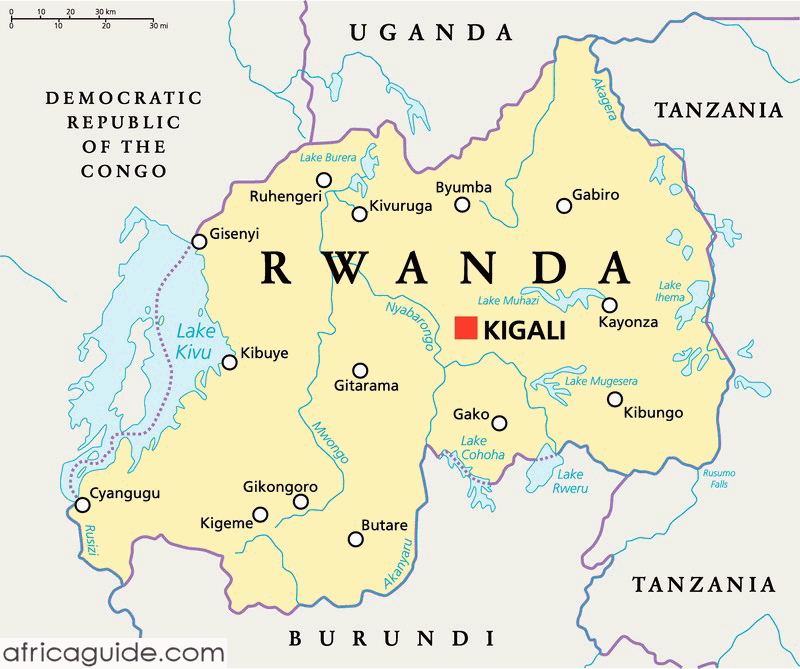 In 2009 a CNN report labeled Rwanda as Africa’s biggest success story, having achieved stability, economic growth (average income has tripled in the past ten years) and international integration.